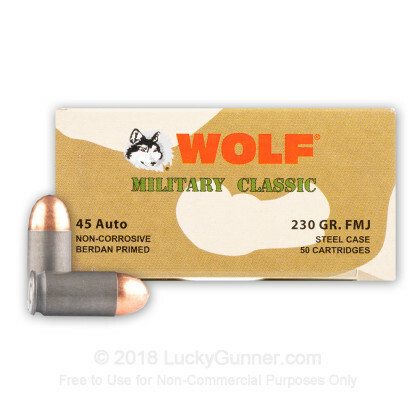 This 45 ACP cartridge from WOLF Performance Ammunition’s Military Classic line of ammunition sports a 230 grain projectile, which is the bullet weight originally offered by its caliber when it was first designed in 1905 by Colt. 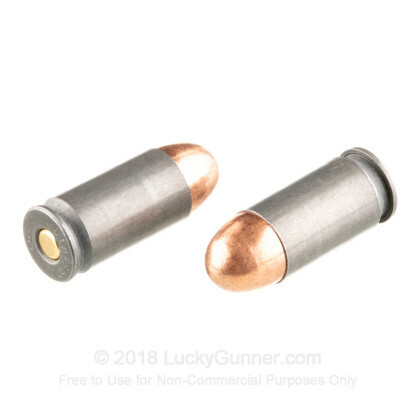 The bullet features a full metal jacket, so it will protect your pistol’s bore against the rapid accumulation of lead fouling to keep your groupings tighter, longer. Like much ammunition that is manufactured in Russia, this cartridge features a non-corrosive Berdan primed steel casing. It is therefore a more cost-effective choice for training and target shooting, but at the tradeoff of being non-reloadable. 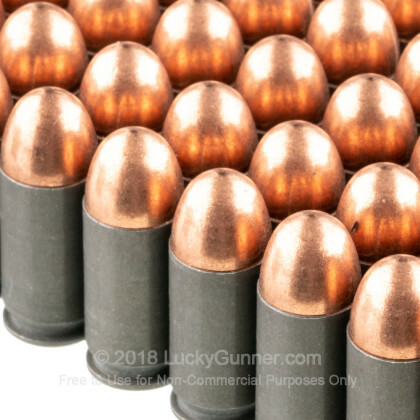 This round’s casing has a thin coating of polymer which both grants it resistance against corrosion as well as facilitates feeding and ejection in semi-automatic weapons. It is a great improvement over the visible red sealant which WOLF ammunition used to feature, as it doesn’t visibly build up in the bore and action. 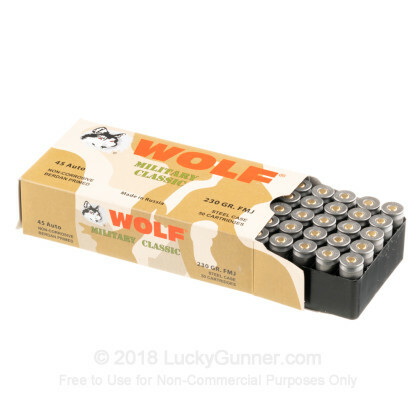 We don't have any reviews yet for this particular .45 ACP (Auto) ammo from Wolf. 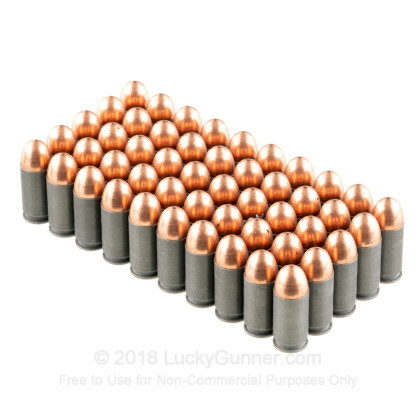 If you'd like to be the first to review this particular .45 ACP (Auto) ammo from Wolf, fill out the form below. 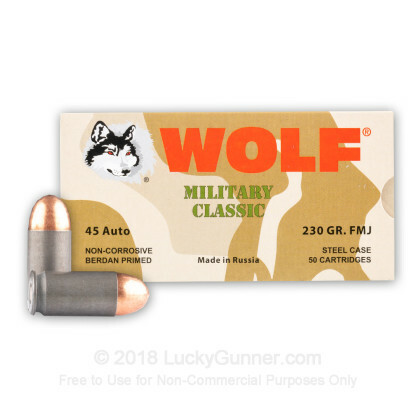 We also have this 45 ACP - 230 Grain FMJ - Wolf Military Classic - 50 Rounds ammo in stock in a smaller quantity.